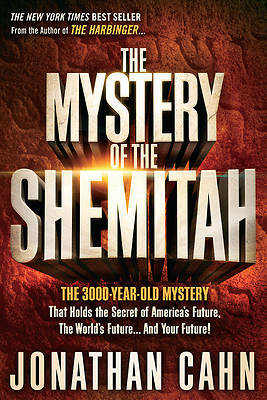 "Rabbi Jonathan Cahn is a Jewish prophet who has been chosen to reveal end-time mysteries--vital material to put the last-days puzzle together "
"The Mystery of the Shemitah is a detailed, compelling, and provocative book for anyone seeking answers to the future of America and the world." "The Mystery of the Shemitah is the most amazing thing I have ever read Brilliant and stunning . . . sobering . . . humbling . . . it is undeniable truth. It is one of the most important books of our lifetime "
- Has been determining the course of your life without your knowing it? - Foretells current events before they happen? - Revealed the dates and the hours of the greatest crashes in Wall Street history before they happened? - Determined the timing of 9/11? - Lies behind the rise of America to global superpower... and its fall? - Has forecast the rising and falling of the world's stock market throughout modern times? - Lies behind world wars and the collapse of nations, world powers, and empires? - Holds key to what lies ahead for the world and for your life?